JBOT | Occupational Therapy, Life Experience & Creative Thinking. Welcome to the JBOT website. Simple, practical advice for managing long-term health conditions. The information on this website teaches a variety of self-management skills for people living with pain, fatigue and poor mobility. It’s also a place to find support and advice. The blog posts are also suitable for a variety of professionals, providing insight into the lived experience of disability. The blog can only cover so much and it only represents a fraction of my knowledge as an Occupational Therapist and expert patient. Many visitors to this site are happy to just read and learn. For those of you looking for more tailored support, I offer a range of services via video chat so you can reach me, as an OT without the hassle of leaving your home. One of the wonderful things about Occupational Therapy is that huge improvements can be made to quality of life with a totally hands-off approach. No poking or prodding, just 30 minute sessions via Skype or Google Hangouts. Stay in the comfort of your own home with a cup of tea while we discuss self-management strategies, devise flare-up plans and more. My specialist skill areas include living well with long-term health conditions, work place and lifestyle adjustments, accessibility, travel, adventure and innovative technologies. If you’re looking for an OT with life experience and a creative mind-set then please get in touch. I am happy to communicate via email, phone, text, social media and Skype or you can simply leave a comment below. Even if you just want to say hello or let me know what you think of the site I’d love to hear from you. I am an Independent Occupational Therapist & an expert patient with many years experience self-managing complex health conditions. I began my working life in the sport and Outdoor Adventure industries. 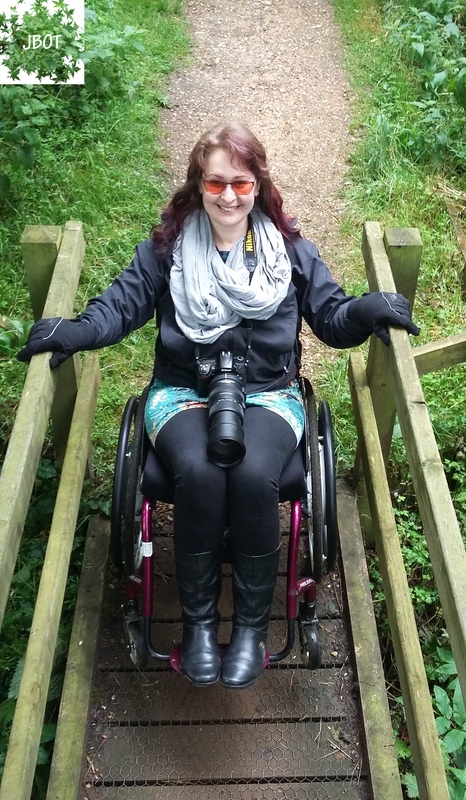 After being diagnosed with Hypermobile Ehlers Danlos Syndrome, I returned to study and gained a BSc in Occupational Therapy from the University of Northampton, where I was named Changemaker Student of the Year 2016. This is in part to recognise my efforts as a volunteer for the HMSA, for helping to bring Wheelchair Basketball to the university and for my blogging and online advocacy starting in 2013. The final noteworthy reason was my final placement, which made me the UK’s first OT practitioner to work in the travel industry. I finished my degree in September 2016 after 5 years, thousands of miles of travel, 57 nights in 4 different hospitals, 5 different A&Es (some more than once), 4 ambulance trips, countless hospital and GP appointments, 3 work placements, living in student accommodation, hotels and friends’ houses. Reading that it occurred to me to wonder if anyone has ever connected dyslexia or any of the other dys-es to EDs? I’m dysgraphic (the writing version for those who don’t know – I can read fine, but my ability to make letters in the right shape & order gets creative if I’m tired or stressed) & dyscalculic (again for those not familiar, this is the math version – words stay in place for me, numbers do not!). I’ve never seen anything that says there is a connection… or anything that proves there isn’t. Admittedly, my personal favourite theory is that long ago when the fae types sometimes paired up with humans, some of the DNA mix turned out amazing, and some is amazing in ways that really make you say OW, because since when is any DNA cross going to always go well? Interestingly my optometrist is a specialist in visual stress and tinted lenses for a variety of conditions like migraines, dyslexia and co. They see LOADS of hypermobility too! We’ve often talked about there being a correlation between the groups of conditions. I have no proof other than lots of people who have both a hypermobility syndrome and a dys* condition. Interesting isn’t it! I also have EDS, my paternal ancestral lineage traces back to being a potential descendant of Niall of the nine hostages (hill of Tara) so also possibly the Tuatha de Danann. I also had hyperdontia (extra row of teeth) as a child as do many ancient elongated skulls, possibly descended from Elohim, Nephilim/Anunnaki genetics, which according to some may be related to or actually the Fae and Tuatha types. I also have marfaniod habbitus features and am very tall…There is talk of Akhenaten of Egypt having EDS/marfanoid traits all over the internet which I find very interesting too. I plan to write about these possibilities in depth at some point as their is plenty of evidence to consider, I’m far from crazy!